When it comes to maintenance of the Allocations in the Business Process or System privileges, it will take big labor if it is performed by 'User unit'. 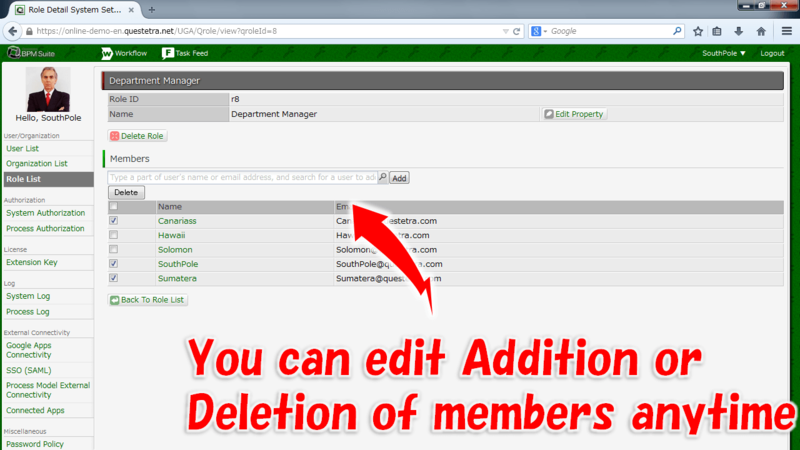 In Questetra, you can configure them "by the Group Unit" using Grouping feature called [Organization] or [Role]. 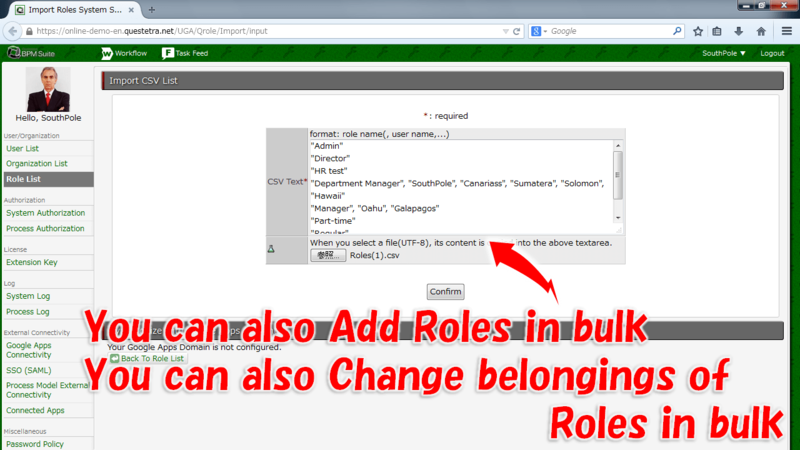 [Role] enables to group Users according to their own attributes such as "Group of Department Managers" or "Qualified personnel". 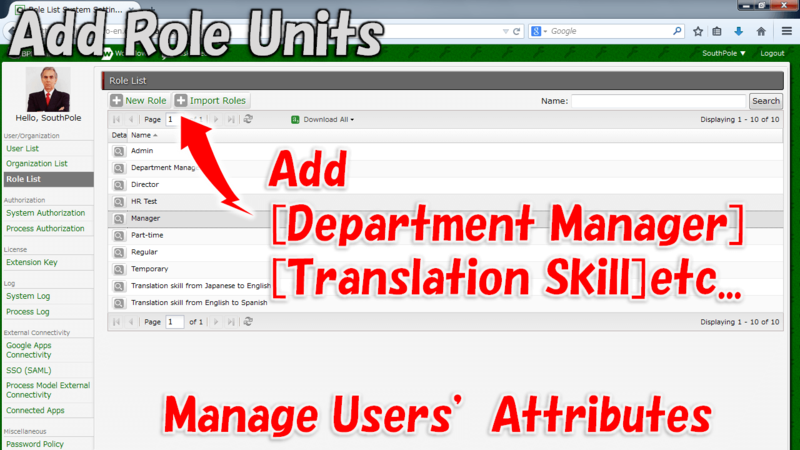 Allocate to one User who is a member of the suborganization of "Sales Department" and has "Translation Skill"
[Role] enables to manage cross-organizational attributes efficiently such as "Department Manager" or "Japanese - English Translation Skill"
Add names or others of Roles in New Addition screen.